One of my students asked about optical illusions the other day. 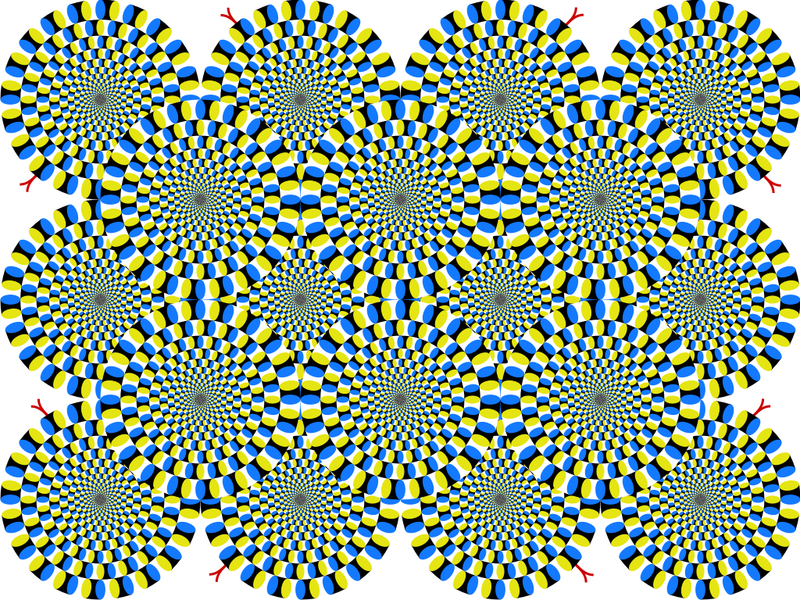 Most optical illusions were created years ago and are commonly used in many books. However, Dr. Akiyoshi Kitaoka, a professor of psychology at Ritsumeikan University in Kyoto, Japan, continues to create some very nice illusions. Dr. Kitaoka is best known for his rotating snake illusion which does not actually move, but certainly appears to do so. Click on the image below for best viewing. 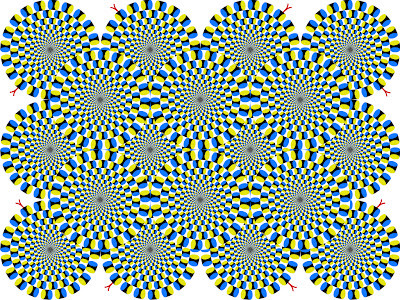 More illusions can be found on his website, HERE. Interesting, when you look at one circle some of the others seem to rotate. It work better if you enlarge it some. Very fun! The illusion I see often is the supposed "pool of water" on the road ahead when driving through the desert.